Classic reappear! OF 98 Ultimate Match OL reappear the images and the skills of classical fighters in OF. 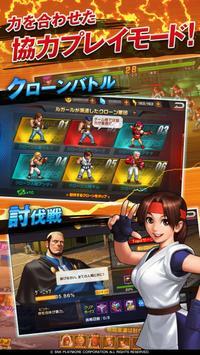 Come to collect the popular fighters and establish your strong fighters lineup! This game breaks traditional card battle mode to create combo battle mode. It will bring you the new exciting experience. Multiple promotion system, multiple fighters arrangement method, perfect PVP mode! It can recall your memories that playing OF several years ago! Do you remember YO USANAGI, IORI YAGAMI, and MAI SHIRANUI? Do you remember the feeling you played OF? The game scene, skills, sound effect, ultimate skills, and the original and vivid Japanese dubbing voice will follow you to experience the exciting fight again! The ing of Fighters! Never be .O.! Do you remember when you played OF you need consider how to arrange your lineup? 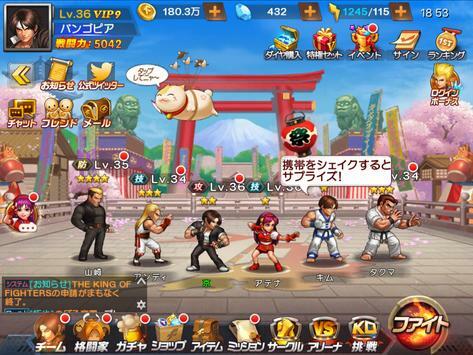 In this game, besides traditional 3fighter team, you can also choose more fighters in your formation! Dont hesitate! Come to establish your own dream team! Are you boring to play the game that you can control characters to release skills by just click the avatar? 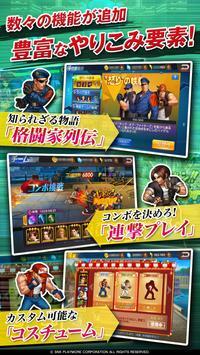 This game innovate the battle mode with QTE combo system! usanagi Serpent, Maiden Masher, and Haoh Shoko en, these ultimate skills can be released by tap the screen. Pay attention to the timing and the rhythm and then you can recall the perfect combo experience! There are lots of PVE+PVE playing methods, such as Bar, Talent, Trial, OF Tournament, Female Fighters Challenge, etc. Challenge the ing of Fighters! Come to the world of OF, you wont be boring anymore. Experience the classical story campaign! Please review THE ING OF FIGHTERS 98UM OL Game and submit your comments below. We will collect all comments in an effort to determine whether the THE ING OF FIGHTERS 98UM OL app is reliable, perform as expected and deliver the promised features and functionalities.